Located in the heart of Burnham, next to the new Sweet Frog and new Sheetz on Logan Boulevard, this location is Mifflin County's premier Verizon location. No need to drive to State College and wait in line to find out they can't help you or don't have what you need. We stock the full line of iPhones and iPads, Galaxy phones and tablets, home and office internet products and services, phone service for Home and Business and so much more. 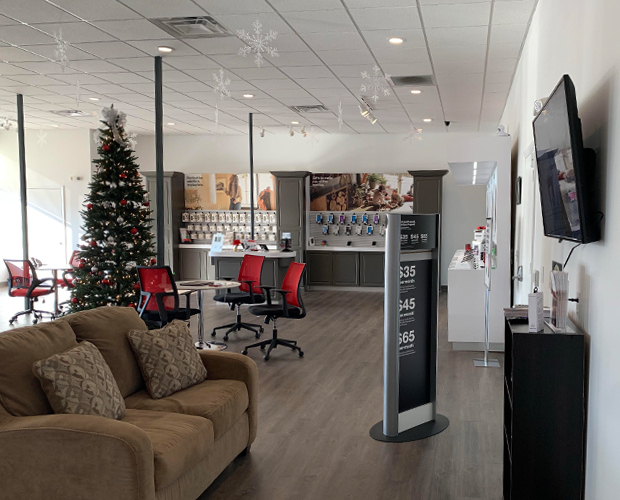 Come see our newly built "Verizon Smart Store" (the original one in all of Central PA) on Logan Boulevard and get our No Wait Guarantee and 1/2 price Setup on Device Payments to save you time and money over all other Verizon locations. WMS is also a Verizon "Platinum Store" customer service award winner, so you know you will be treated as you expect!